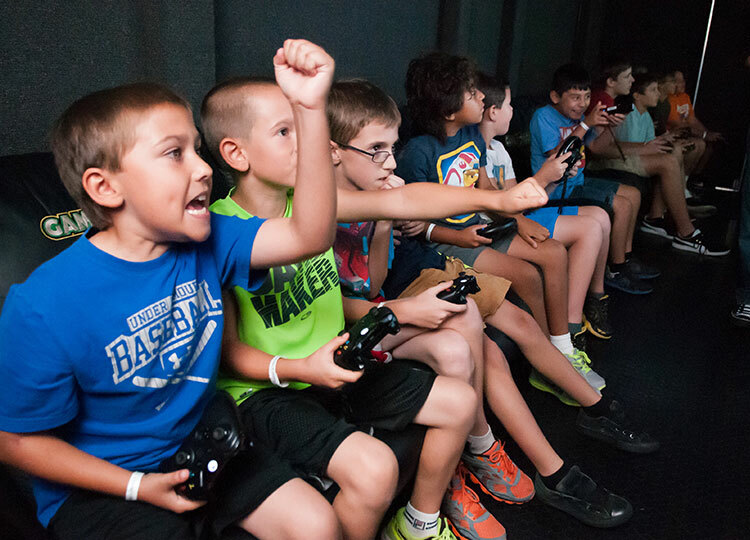 GameTruck delivers onsite activities that draw your team closer together through challenging play. GameTruck's unique mobile video game theater makes it easy to keep the team together onsite for some serious interactive interaction. Game Coaches take away the learning curve so everyone can play. 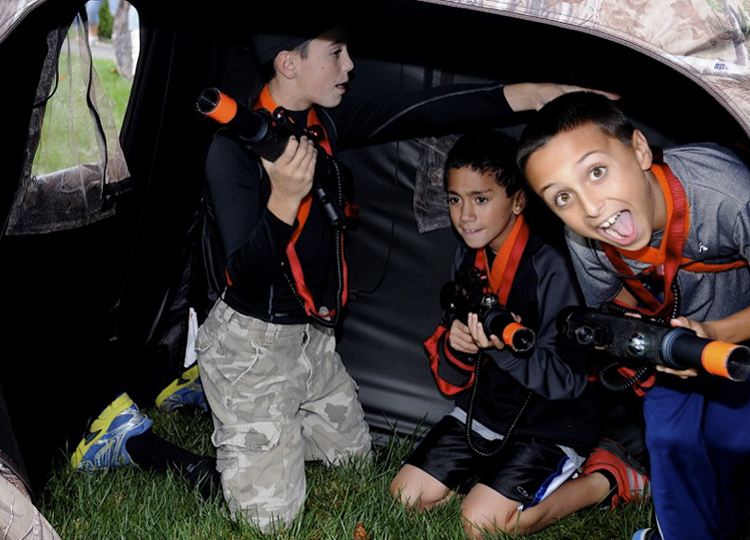 GameTruck indoor / outdoor laser tag equipment can transform your office into a compelling laser tag arena. Team based missions enhance group interaction. Objectives maximize cooperation. Your game coach provides onsite equipment training, and then referees the event. If you are looking for an awesome team building experience, GameTruck has you covered. Video Games provide a comfortable fun activity that promotes bonding, through collaboration, contribution, and competition. Tactical missions provide a great bonding experience as everyone has the opportunity to contribute. 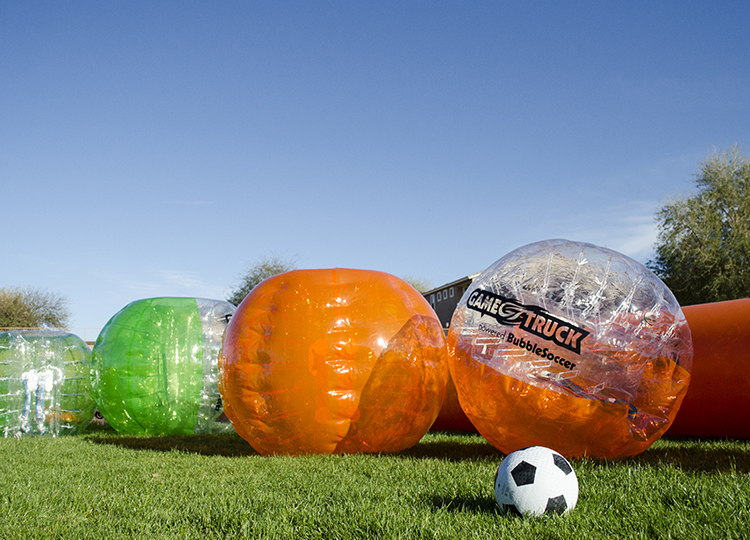 GameTruck powered BubbleSoccer is ideal for the physically fit team who is looking for a demanding, and yet entertaining activity. This is one of the hotest new activities for young active teams.